B'nai Mitzvah (A Mitzvah for two or more young jewish people) for these twins. Look at additional images for second twin. Seth and Jonah are two wonderful young men celebrating their coming of age. 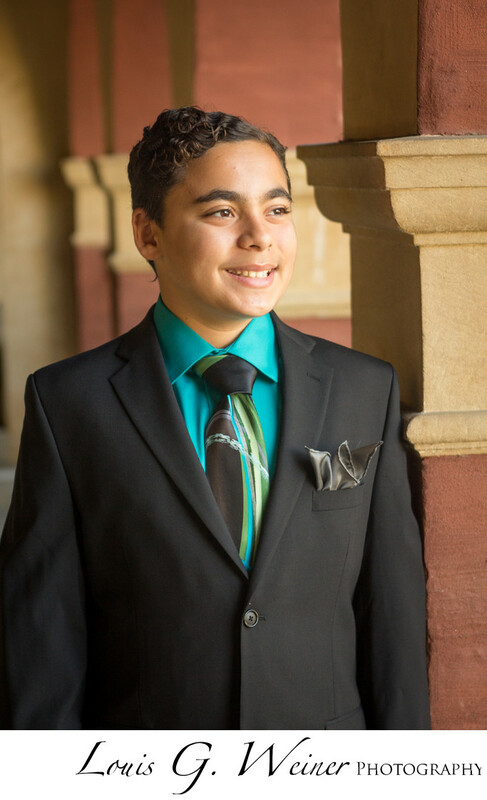 Looking so dapper in his new suit at this pre mitzvah session, Jonah really looks great. I love coming of age celebrations, Bar / Bat / B'nai Mitzvahs, sweet sixteens, Quinceañera, etc... These important events in a person's lives mark growing up and change, great images will make these events stay with you forever. Location: A.K. Smiley Library, 125 W Vine St, Redlands, CA 92373.